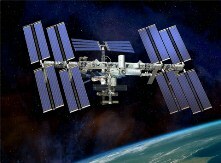 The International Space Station (ISS) is making several passes over Tipperary over the Christmas period. The previous flyovers of The ISS have been spectacular and well worth going out in the evening and observing them. We’ve been lucky with the weather this Christmas so far so hopefully we will have some clear skies over the next few days. At one stage I thought it would crash into Jupiter. Yeah, it was a great flyover yesterday (23rd Dec), lovely clear skies, and indeed it did pass very close to Jupiter! Jupiter is very bright at the moment. It is also very easy to spot, it’s the brightest object in the sky and appears high in the sky, you can’t miss it!